This is a great article. It was a big help to me. Do you have any example that shows how to do the same with asp.net? 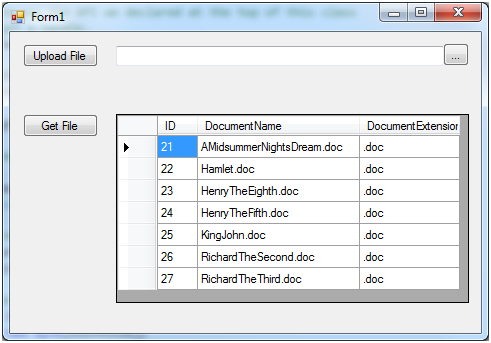 Basically I need to upload multiple files to sql filestream table. But along with these files, I also have other information such as name, email, address, etc. It should be done in one single transaction. It is odd that I chose this particular web page to leave my comments, but boy! I must really thank the author from my heart for his wonderful, easy, elegant and pertinent approach to introduce new concepts of SQL Server 2008 (like FILESTREAM). I am particularly interested in using this new facet along with FTS to get the best of both worlds! I am sure, the author has more details with regard to FTS. Thanks and thanks again! May your tribe increase!